Our Music seniors present a triple-header this weekend, with one recital each on Friday, Saturday, and Sunday. 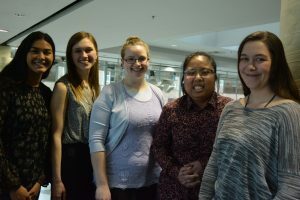 Over the last few years each of these women has spent countless hours rehearsing and honing her technique and musicianship under the mentorship of our faculty, in Alumni Hall, at Concordia events, and in the wider community. 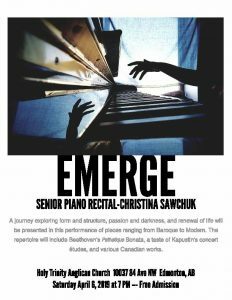 Her senior recital represents the culmination of her musical development, a unique product of talent, diligence, and personality. 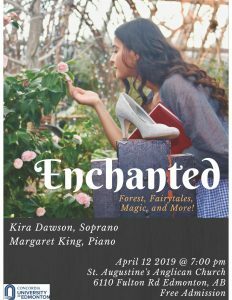 The recital posters are a reflection of each woman’s art and passion. They hold clues to what distinguishes each of these accomplished musicians. Read the Inside CUE profiles below, if you haven’t already, for more insight into what makes each tick. 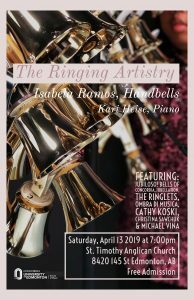 Don’t miss the Edmonton Journal article on Isabela Ramos‘s musical “first”–and listen for her and handbell mentor/CUE instructor Debbie Rice Friday afternoon on CBC’s “Radio Active”! 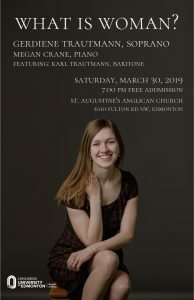 And, please join us in enjoying the talent nurtured and developed over the last four years within the School of Music! 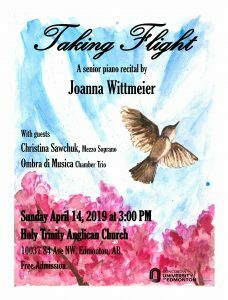 All recitals are free and open to the public, and will be followed by a reception.